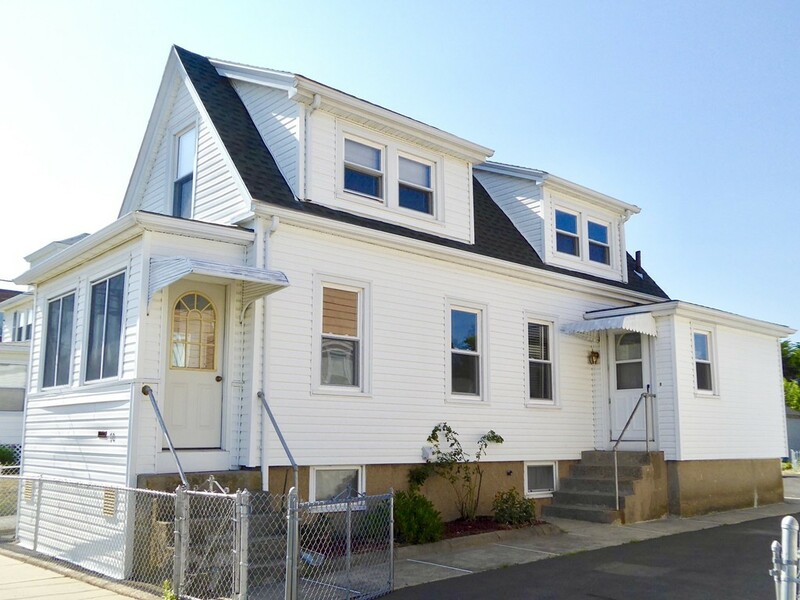 Affordable, updated & well maintained quaint Colonial w/retro features & touches throughout. Located on a side street just a couple doors down from Carroll Elementary School. Fenced yard w/plenty of off-street parking on newly sealed paved driveway as-well-as a good size grass/garden plot & storage shed. Easy maintenance vinyl siding, aluminum clad trim & the Roof is just 8 years young. Full basement offers plenty of storage and can be accessed from the interior & exterior. Replacement windows throughout. A modern day 200 amp elec panel. A gas boiler (8 yrs) w/steam heat. Insulation improvements suggested by MassSave are completed. Enclosed porch w/front entry door. A convenient side entrance w/coat closet. The kitchen is spacious, w/ a pantry & modern appliances. There's original HW flrs in the LR & MBR, engineered HW flrs in the 2nd BR, each BR w/a closet + an additional closet on the 2nd level. Bathroom off the kitchen. A perfect condo alternative that sure beats paying rent!